Process tanks are industrial containers with a wide variety of configurations and applications. HPI Processes, Inc. fabricates many sizes and arrangements of process tanks equipped with sensors and controls as needed. Polypropylene Tanks: Polypropylene is a lightweight, durable material that offers excellent resistance to chemical corrosion making it ideal for metal finishing applications. Polypropylene tanks can handle liquid temperatures up to 200 °F. Stainless Steel Tanks: Stainless steel is often the first choice material for producing process tanks due to its flexibility and ease of use. Stainless steel is resistant to corrosion and is able to withstand extreme temperatures. 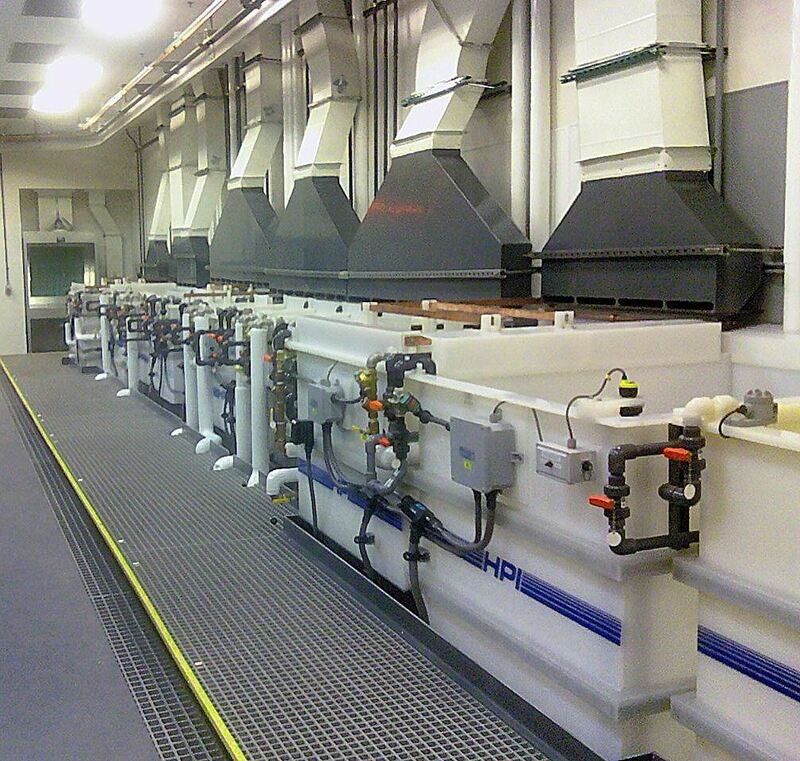 HPI Processes is a one stop solution to all your queries related to process lines and tanks. If you have any queries about our products or services please feel free to contact us. If you are considering placing an order don’t hesitate to Request a Quote. Polypropylene and Stainless Steel Tanks. With high level alarms, level controls, drain, spray nozzles, air agigatition, steel girths, Teflon heaters, temperature monitors, circulation pumps, lead and copper anodes, stainless steel heaters and rectifiers.